November 3, 2011 - The U.S. Department of Labor's Occupational Safety and Health Administration has publish interim final rules in today’s Federal Register that revise the regulations governing whistleblower complaints filed under the Sarbanes-Oxley Act of 2002. The act protects employees of publicly traded companies and their subsidiaries, and of certain other employers, from retaliation for reporting mail fraud, wire fraud, bank fraud, securities fraud, violations of SEC rules or regulations, or violations of any provision of federal law relating to fraud against shareholders. OSHA is requesting public comment on the interim final rule. "Fraudulent practices by publicly held corporations have contributed to the economic difficulties currently facing our nation," said OSHA Assistant Secretary Dr. David Michaels. "The best way to prevent this from happening in the future is to ensure that workers feel free to blow the whistle on corrupt corporate practices without fear of retaliation, and OSHA is committed to protecting the rights of those workers to speak out." The whistleblower protection provisions of SOX were amended by the Dodd-Frank Wall Street Reform and Consumer Protection Act of 2010 to clarify that subsidiaries of publicly traded companies are covered employers under the statute, and to add nationally recognized statistical rating organizations as covered employers. The 2010 amendments to SOX also extended the statute of limitations for filing a complaint from 90 to 180 days, among other changes. The new interim final rules implement these changes and aim to improve OSHA's procedures for handling complaints under SOX. Among the changes to improve the complaint filing process, the revised rules will allow SOX complainants to file complaints orally and in any language, and enhance the sharing of information between parties throughout the investigation. "The ability of workers to speak out and exercise their legal rights without fear of retaliation is crucial to many of the legal protections and safeguards that all Americans value," said Dr. Michaels. "In a continuing effort to improve the Whistleblower Protection Program and make the filing process easier, the rules have been updated to reflect the changes required by the statute." 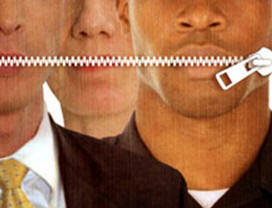 OSHA enforces the whistleblower provisions of the Occupational Safety and Health Act and 20 other statutes protecting employees who report reasonably perceived violations of various workplace, commercial motor vehicle, airline, nuclear, pipeline, environmental, railroad, public transportation, maritime, consumer product, health care reform, corporate securities, food safety and consumer financial reform regulations (additional information).